Be in control of your finances! 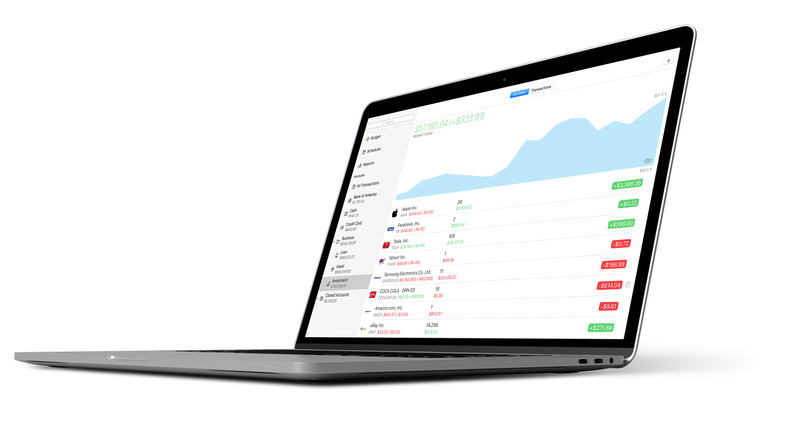 Money is a beautifully easy tool to keep track of your financial life on all your macOS and iOS devices: everything from daily transactions to long-term investments! Just like having a personal accountant available 24/7! Managing accounts and transactions made easy. 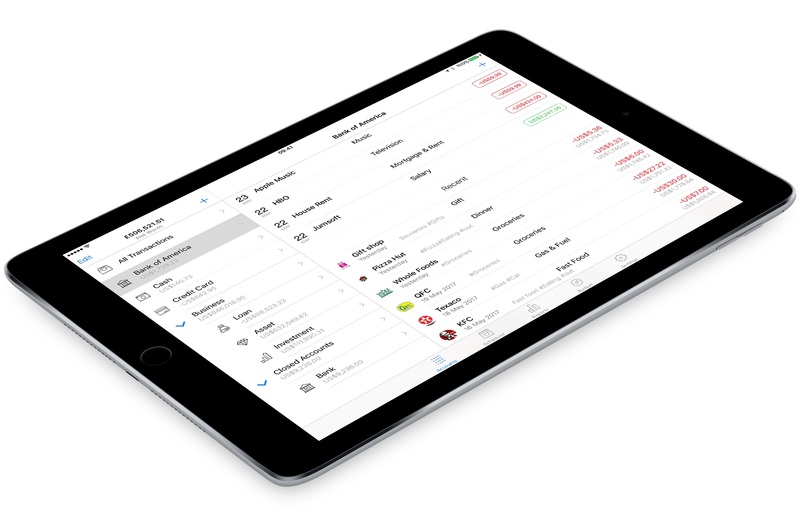 Oversee any number of accounts, keep track of all the transactions, easily manage finances with multiple currencies - Money brings all the expert features in a beautiful and easy to use package! 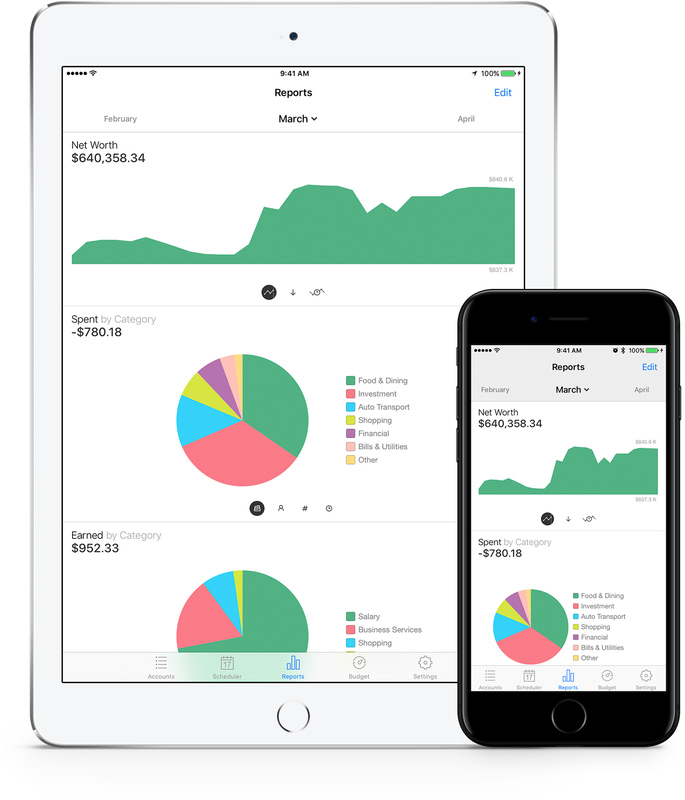 Money befriends all your devices and makes it easy to keep track of your finances on all of them by syncing your data seamlessly and securely via iCloud. Let Money do the work for you! Money now supports over 50,000 financial institution connections across 57 countries. Save time and let Money update your accounts automatically. Can’t find your financial institution? Fill in the request form and let our providers know what’s missing. In the meanwhile, import your bank statements from CSV, QIF, OFX, QFX, or MT940 files. Use Smart Import Rules to make future imports super smooth and simple. * US and Canada institutions are provided in a single list by providers. Money protects your data with military-grade encryption. 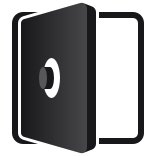 Use a password or your fingerprint for access - quick, easy, and safe. Losing or resetting a device no longer means losing your data - effortlessly restore your data from the iCloud: everything will be exactly where you left it! Be aware of your expenses and savings, set budgets and achieve your financial goals with clear and beautiful visualization of your income, expenses, and how you are doing in terms of your financial goals. 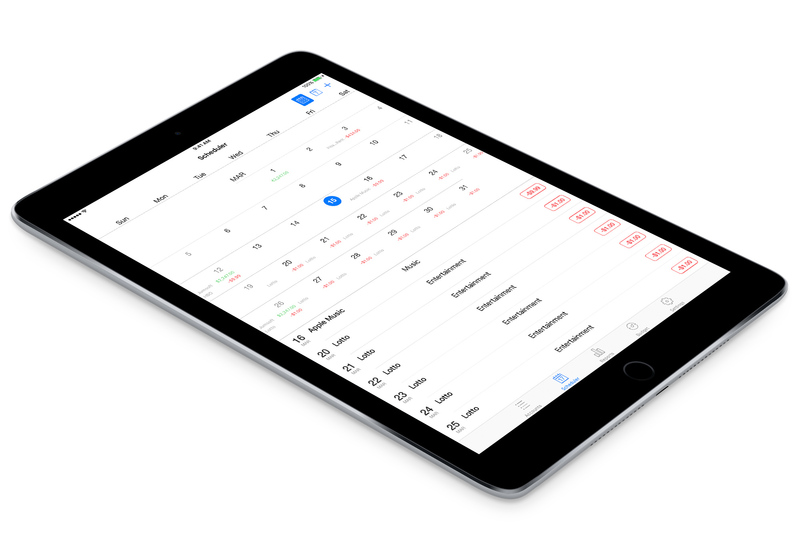 A scheduler that works for you. Never skip a payment again! The scheduler allows you to easily automate your recurring transactions for one-click confirmation, so you can focus on the things that matter. Reports that keep you on track. 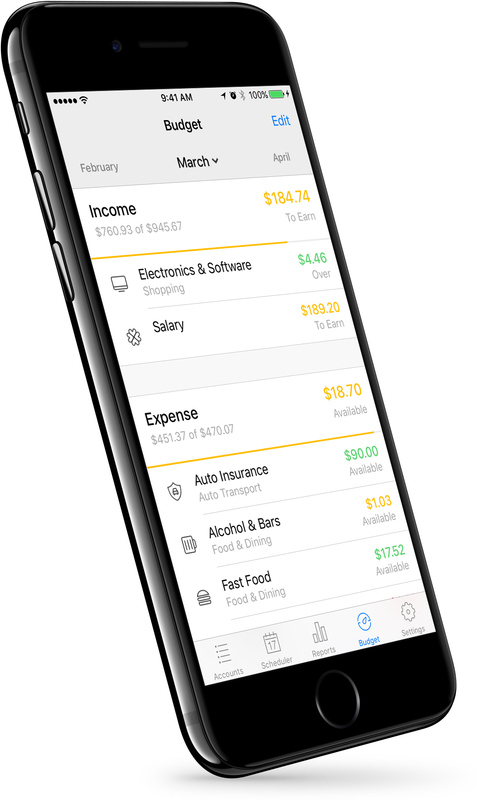 Money features in-depth reports on your income and expenses with a variety of parameters, so you can get detailed reports about where you spend/earn your money, so you can effectively make conclusions and take action! Automate your finance management even further! Utilize over 50,000 supported financial institution connections across 57 countries and let Money record your transactions for you! Import your account data from financial institutions in bulk! Money supports import from CSV, QIF, QFX, OFX files. Money can use Foursquare to automatically show you a list of possible payees based on your location. Just select one and Money will automatically fill in the payee field and determine the transaction category! Assign tags to your transactions, so you can easily find particular types of transactions, or effortlessly generate detailed reports based on tags. Money can take care of your securities portfolio and transactions. You can always keep track of your portfolio’s current and historic values, stay on top of profits and losses, integrate them across your general net worth. Easily and conveniently match the statements from your financial institutions with the transactions in Money to make sure that every transaction is accounted for and is exactly where it is supposed to be!